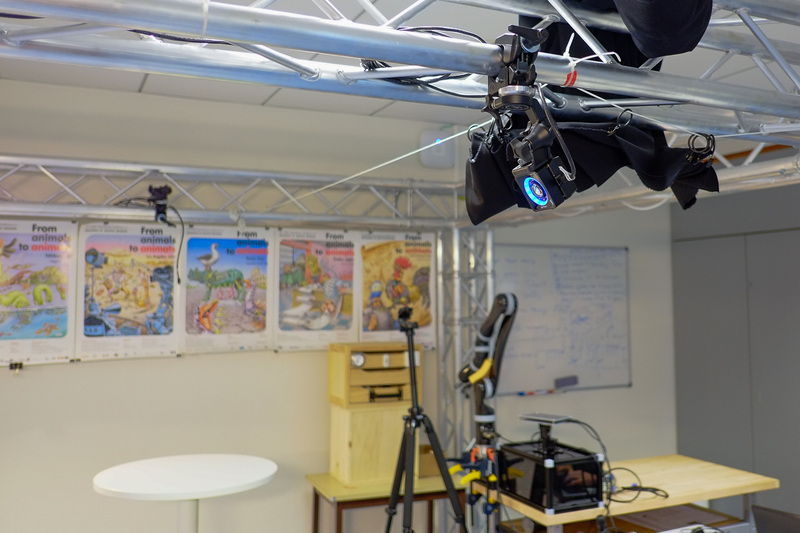 The trusses support the motion capture system and the lights, and hold all the cables (network, 220V, etc.). Click on each image to see it bigger. 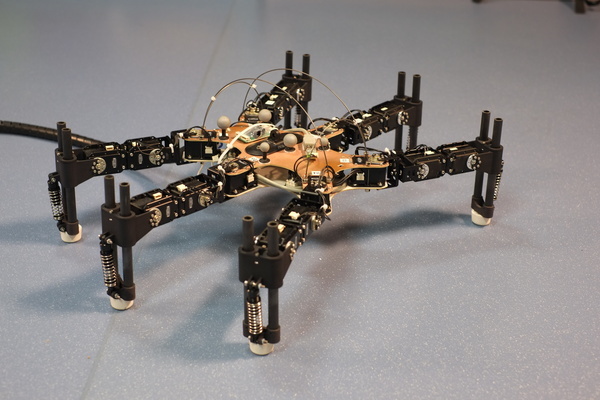 The last version of our 6-legged robot, which was featured on the cover of Nature (see Publications). Videos are available on the Videos page. This 6-legged robot is made with 18 MX-28 dynamixel actuators, a Xsens Mti-30 IMU, and a Asus x-tion (RGB-D sensor / Kinect). The silver spheres on top of the x-tion are for the motion tracking. 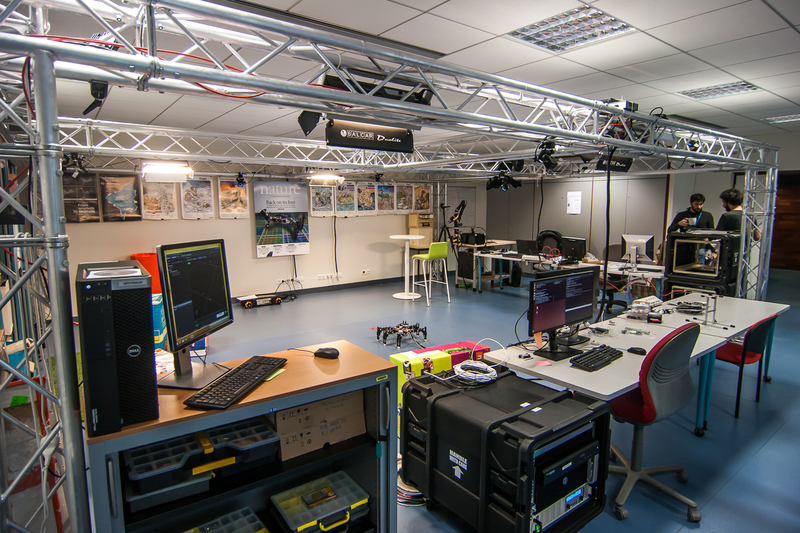 This robot is a demonstrator and a testbed for our adaptation algorithms. 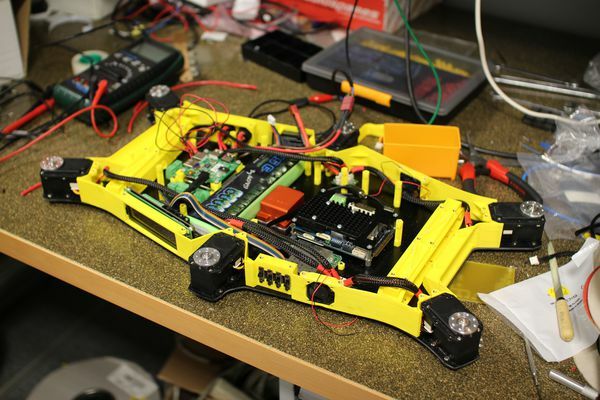 It has no direct intended application, but the algorithms that we test with it have appplications. 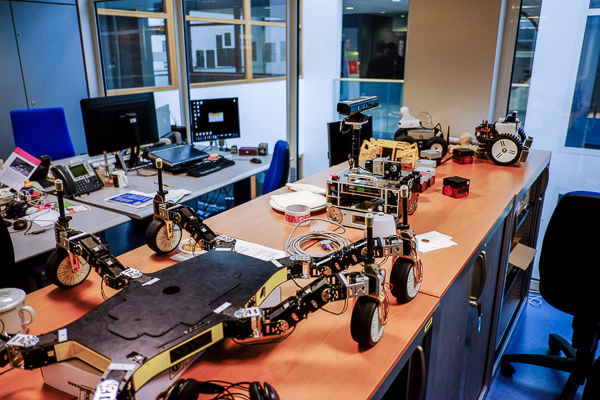 The Creadapt robot is wheel-leg hybrid robot that was developped in a previous project (ANR Creadapt). 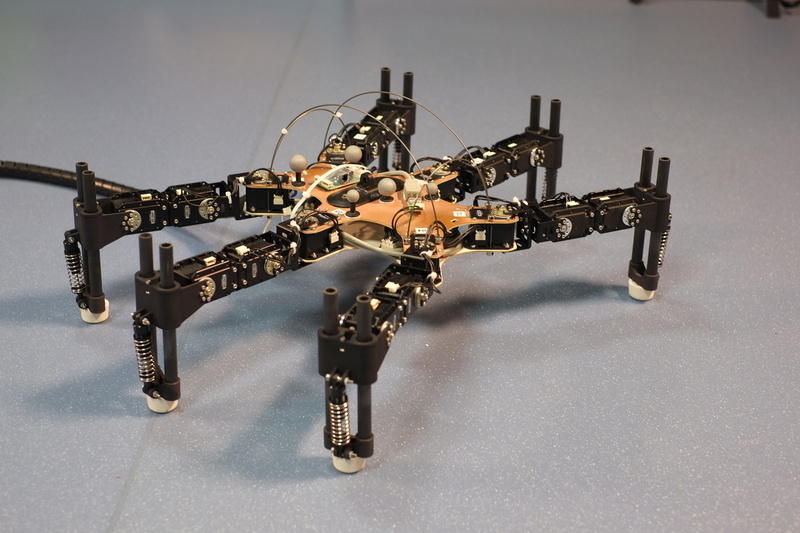 It is bigger than our 6-legged robot, and it has many more ways to move (drive, walk, …). The YouBot is an omnidirectionnal robot manufactured by Kuka. 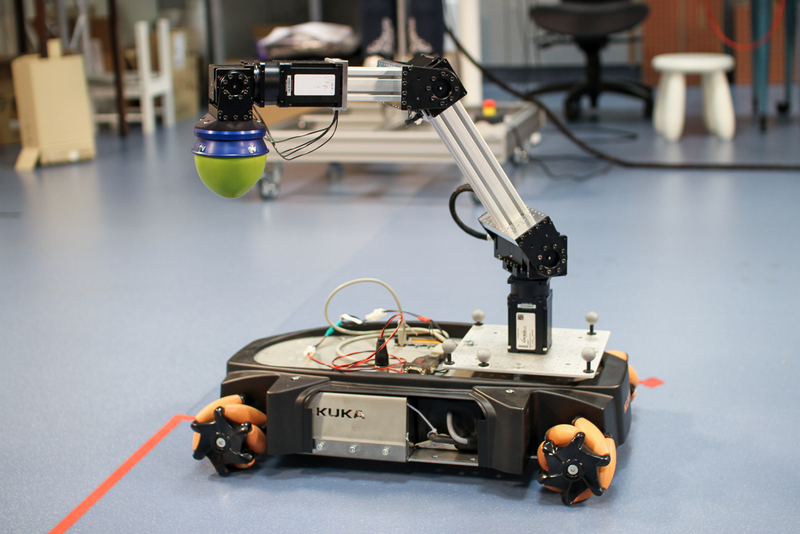 We are modifying it to use the Versaball gripper (Empire Robotics). 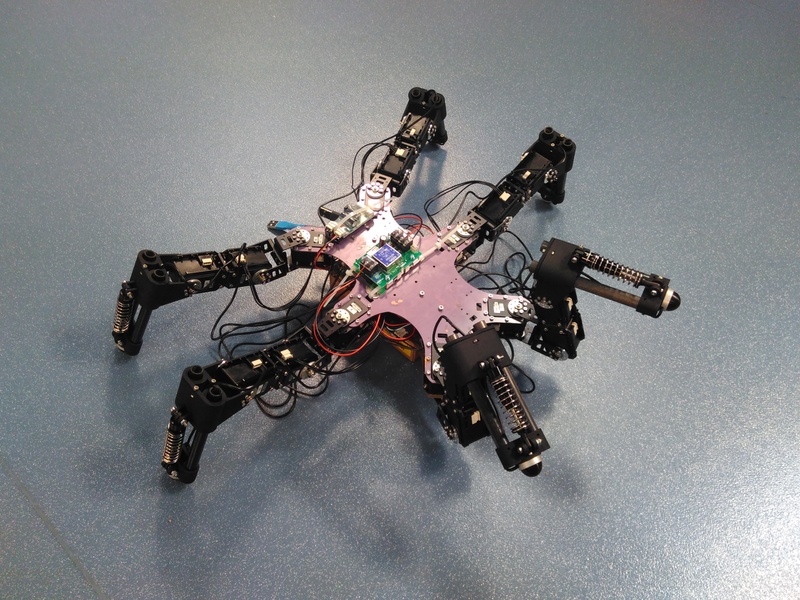 Omnipointer is a simple, low-cost robotic arm with four degrees-of-freedom. 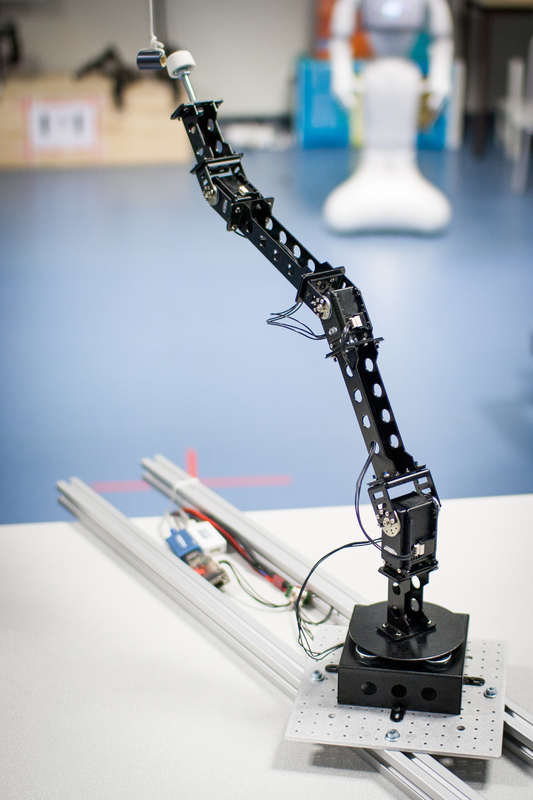 It is used for experiments that do not require the higher accuracy of the arm mounted on the YouBot. 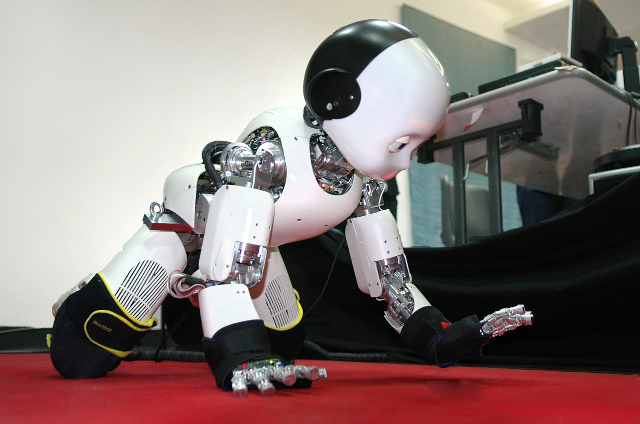 iCub is a child-like humanoid robot with 54 actuated degrees of freedom, force torque sensors, and a sensitive skin. 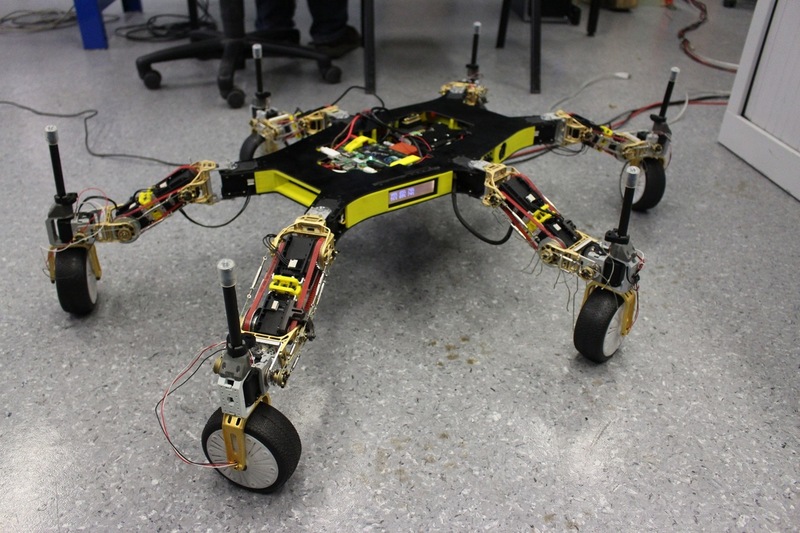 We use it to test our algorithms for 4-legged crawling and 2-legged walking.